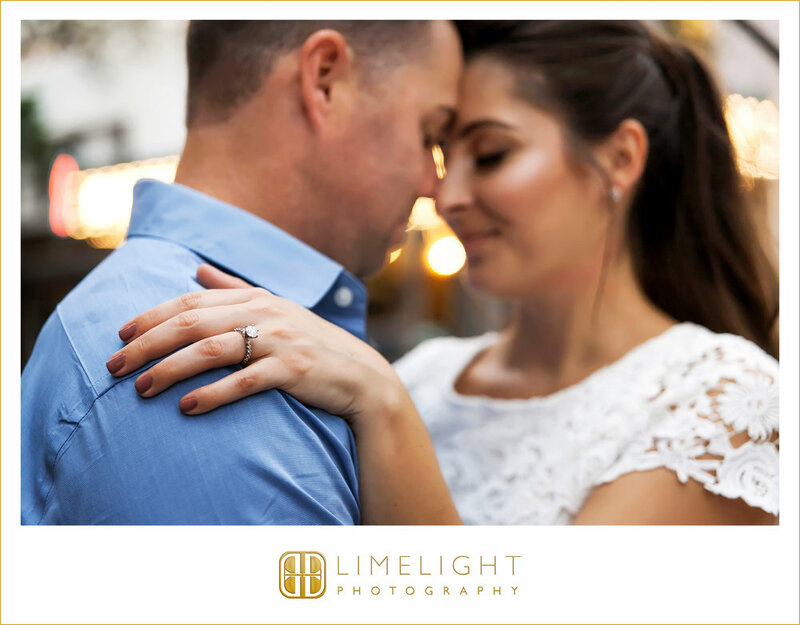 I had a little adventure in downtown Tampa with this gorgeous couple on this cloudy but pretty Sunday evening. 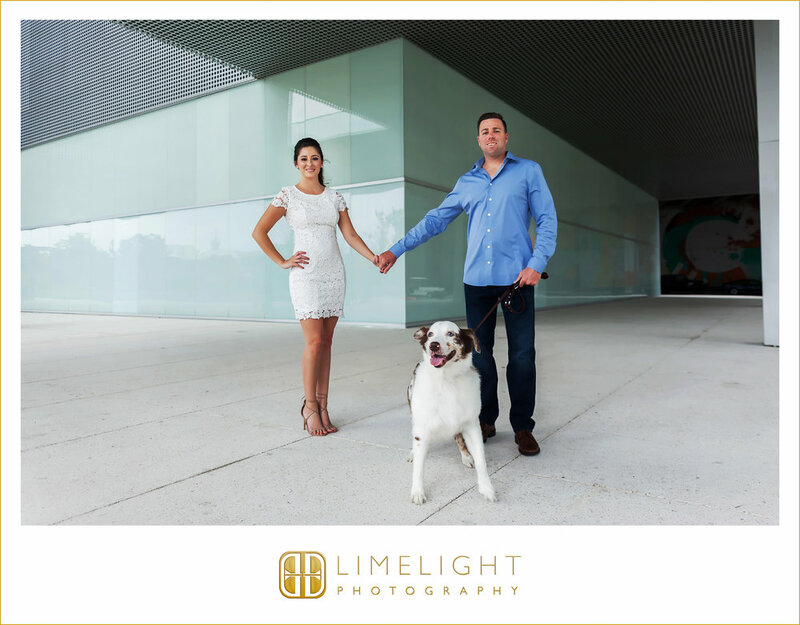 Erika, Brian and I started our shoot by the Tampa Museum of Art and made our way around Curtis Hixon Waterfront Park with the cutest little guy, Bentley by their side. 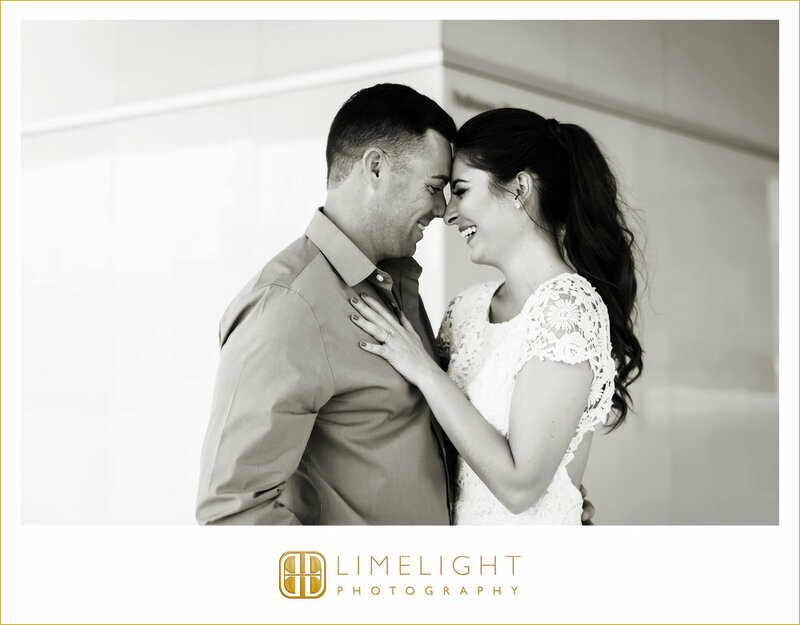 Erika and Brian have the sweetest love connection that was so sweet to witness and easy to capture on camera. 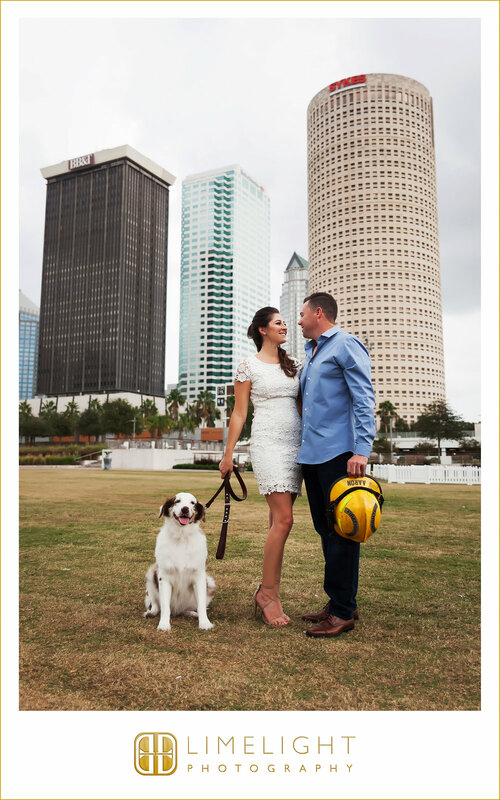 Erika is currently a Pharmacy Student and Brian is a firefighter who is now a Driver Engineer. 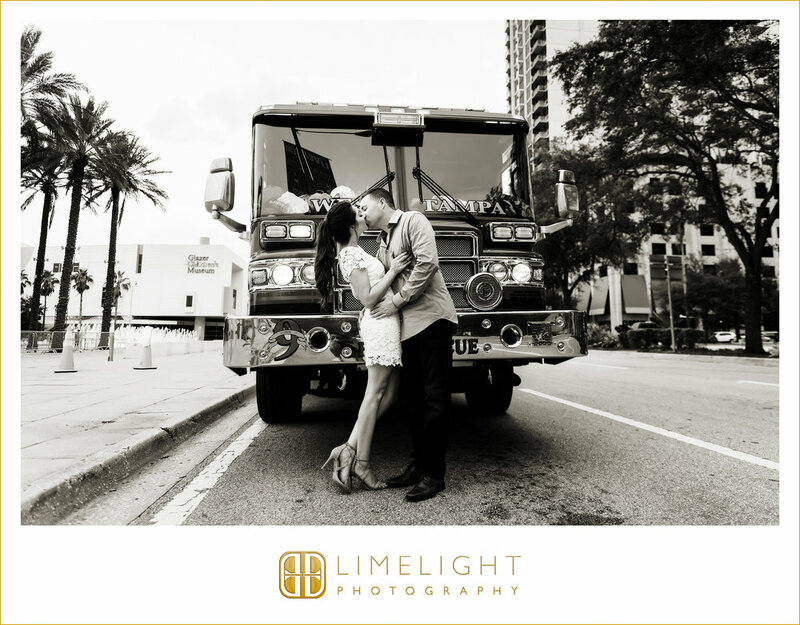 Of course we had to incorporate a firetruck and were lucky to have a station come by with one of their trucks for the session! They are both originally from Tampa and love this place more than anything. 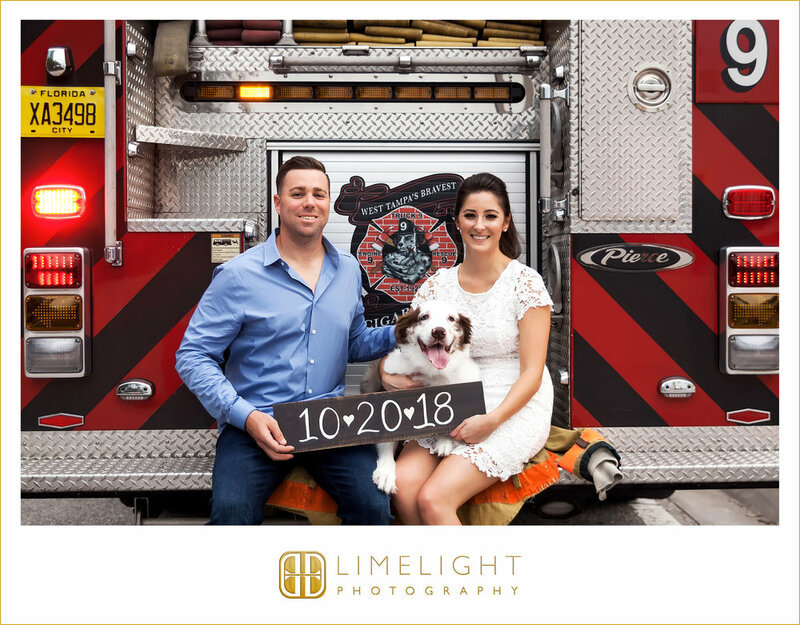 They will be saying their I Do's in October of this coming year and they couldn't be any more excited. 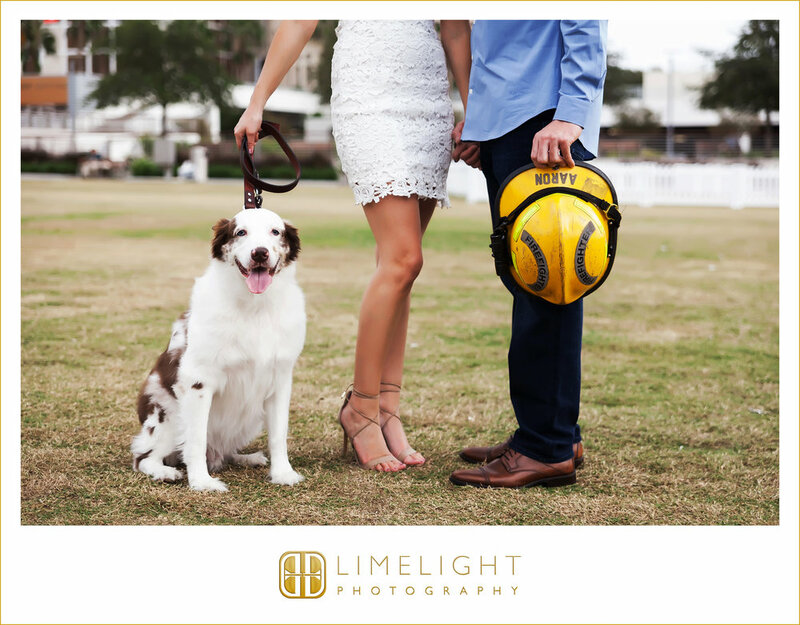 Congratulations on your engagement!! !